Ten years after staging its first performance, Director Kate Mendeloff Reimagines The Tempest in Nichols Arboretum. 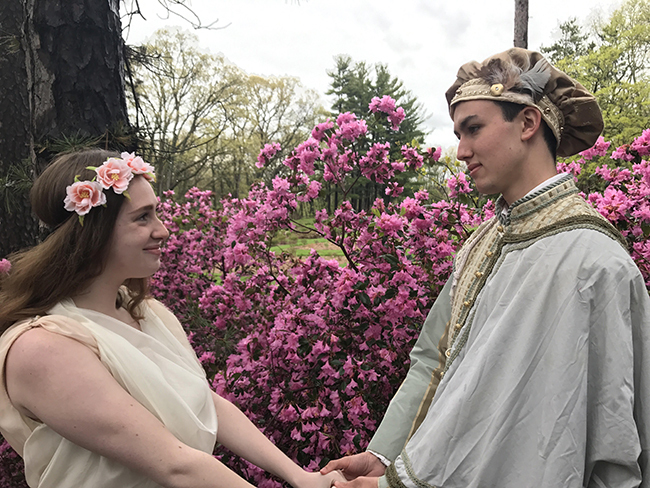 Editor's note: Shakespeare in the Arb has been a June tradition for more than 16 years. The play is directed by Kate Mendeloff, a faculty member in the University of Michigan Residential College. Kate wrote about the summer 2017 play, The Tempest, which she presented in 2007. 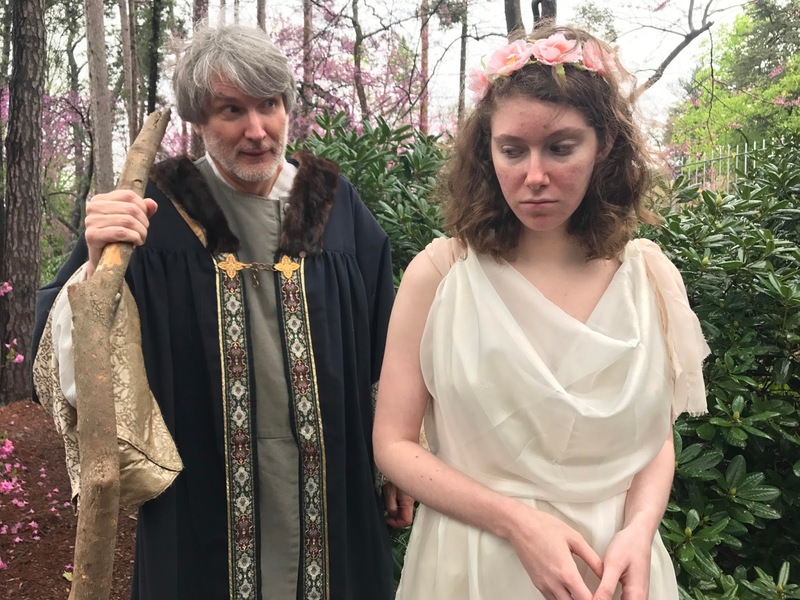 In re-staging Shakespeare's final play, "The Tempest", I had some major challenges from the outset. Ten years ago, I staged the play in Dow Prairie, and even incorporated the Huron River in my design. Because the play begins with an actual shipwreck in process, and such a thing is not possible to stage outside, I had my designers create a wrecked ship on the opposite bank of the river. This was a powerful opening image for the audience who were walking to the starting point of the action. Because of repair work this spring on the road along the Huron River and in the prairie itself, I had to use a different venue this year. I chose the East Valley, and decided to use the Heathdale glen for the audience entrance, and to people the woods with the characters who were thrown upon Prospero's island by the shipwreck. 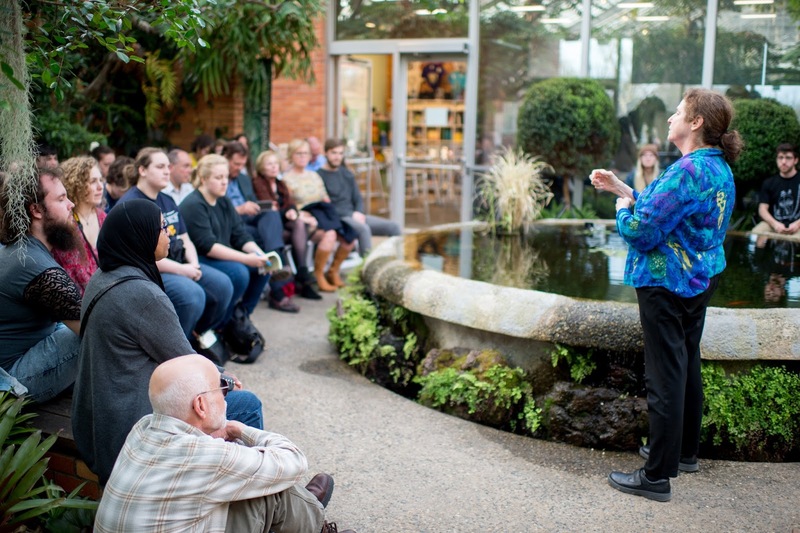 This serves a similar purpose, and introduces the audience to the action of the play from the very beginning of their experience in the Arb. Also, the East Valley has a new feature this year, which is serendipitous for the production, a huge tree has split in half and fallen right in the middle of the area. 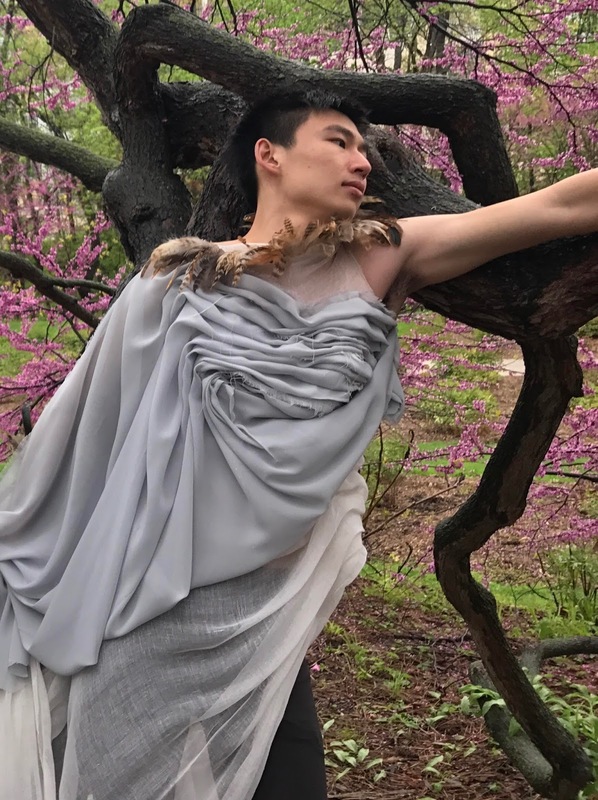 In the play, Prospero had released his servant Ariel from imprisonment in a tree, so that this symbol of repression and freedom is front and center in the audience's minds. We use the tree for some significant staging moments during the action. Ariel (Justin Kim). Photo by Emilie Heimbold. 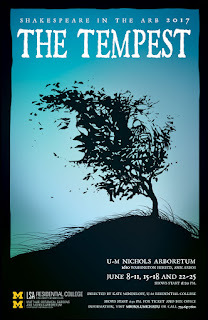 "The Tempest " is a wonderful play that incorporates magical elements and non-human characters. Prospero, the banished Duke of Milan, is also a magician, and he has been himself shipwrecked on this island, twelve years before, and now lives there with his daughter Miranda, and their servants, the earthly Caliban, half-man, half-creature, and the air-spirit Ariel. In this season’s production Ariel is played by seven actors at once and is everywhere on the island doing Prospero's bidding and so must be embodied by many performers. Miranda and Ferdinand (Sarah Prendergast and Nick Megahan). The plot of the play concerns Prospero's revenge on his evil brother and the King of Naples, who engineered his overthrow. Prospero creates a storm that brings them to his island and oversees their punishment, but stops short of cruelty because of Ariel's compassion and also by the burgeoning relationship between the King of Naples’ son and his daughter. The king also chastises two comic characters who side with Caliban to threaten his authority and his life. Redemption is the theme of the play, although much of the action is about conspiracy and revenge. Prospero, like his creator Shakespeare, decides to give up his magic and retire to a quiet life, but not before he writes some of his most beautiful poetry and creates some of his most intriguing characters. Marilyn Schotland). Photo by Emilie Heimbold. I am aided in the magic of the rehearsal process by collaborators Graham Atkin and Emma McGlashen; Martin Walsh, my colleague in the Residential College; and Jordan Khalaf, who has taken the Elizabethan melodies and adapted them for our production. The play runs Thursday-Sunday evenings June 8- June 25 weekends. Information about tickets, parking, directions, and more is found on the Matthaei-Nichols Shakespeare in the Arb web page. at Matthaei-Nichols, including the conservatory and the Arb.